Scientists have found a way to develop a silicon food supplement for poultry, which could provide a major boost to the health and welfare of millions of chickens produced every year. For the first time the team from Nottingham Trent University were able to devise a method that kept silicon in a form that was both absorbable and useable by the body. It has been known for some time that silicon is essential to life and has the capacity to improve the integrity of body tissues, but natural silicon often exists in forms (silicate minerals) that are extremely difficult for the body to make use of. 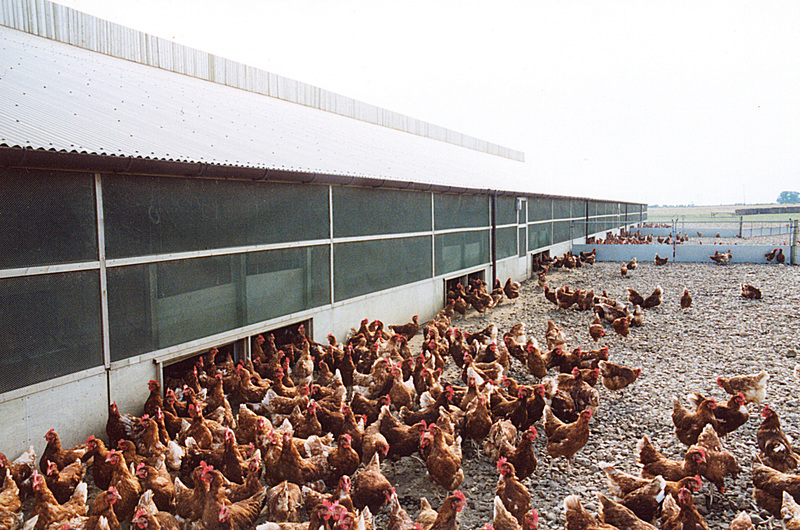 The development could have a significant impact in the poultry industry, as the fast growth of modern strains of meat chicken often leads to lameness and skeletal issues. By understanding all of the chemical factors which dictate the likelihood of silicon being absorbed by the body, the team was able to develop a process for combining other key ingredients to enable it to be added into animal feed. Chickens were fed different doses of the silicon supplement to identify whether it was being absorbed by the body and reaching the target areas. The researchers found that, not only did the amount circulating in the blood directly correspond with the amount offered in the feed, but the bones of the birds fed the supplement were stronger than those who were not. Chicken is the world’s most commonly consumed meat, with 50 billion birds produced each year. Lameness is recorded in about 4% of these, meaning the supplement could potentially benefit millions of individual birds a year. The team state that the supplement could be valuable for the welfare of all chickens, including layers, as well as other vertebrate species which face challenges in how well their body develops or where bone breakages are a problem. This could include athletes hoping to reduce healing time for minor fractures, elderly people at risk of fractures from falls, or racehorses in training. The study, reported in the journal Scientific Reports, involved Nottingham Trent University’s School of Animal, Rural and Environmental Sciences and School of Science and Technology. “The skeletal challenges associated with the fast growth of modern strains of meat chicken made them a natural target for this new silicon feed supplement,” said Dr Emily Burton, Head of the Poultry Research Unit at Nottingham Trent University. She said: “Modern strains of meat chicken grow incredibly quickly and although poultry breeding companies now include leg strength among the traits they breed for, it is still a huge challenge to rear birds without lameness issues. The immaturity of the skeletal structure just struggles to support the muscle weight of the growing bird.